Our mini polyresin snow globe is a fun addition to your snowglobe collection! 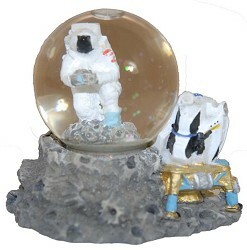 Features the lunar surface with the Lunar Excursion Module and astronaut. Measures 3 inches in height.